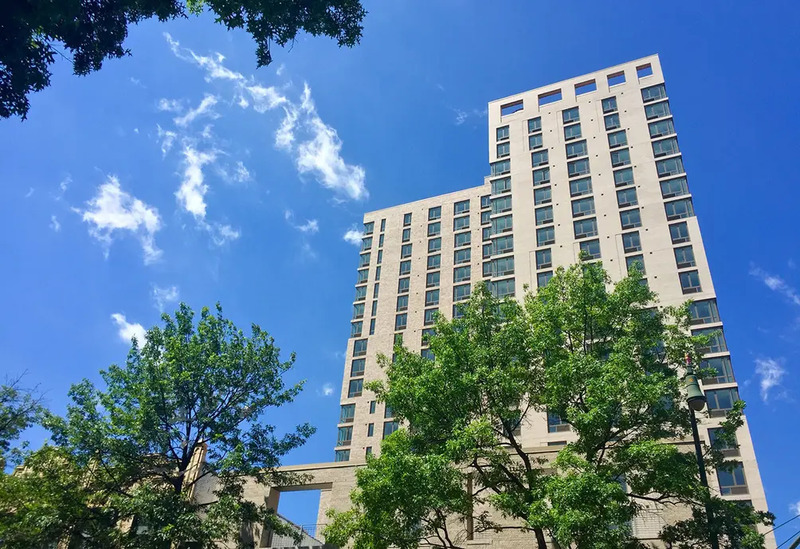 In 2016, Hudson Companies debuted The Parkline, a 24-story rental building in Prospect Lefferts Gardens that is now one of the tallest in the neighborhood. 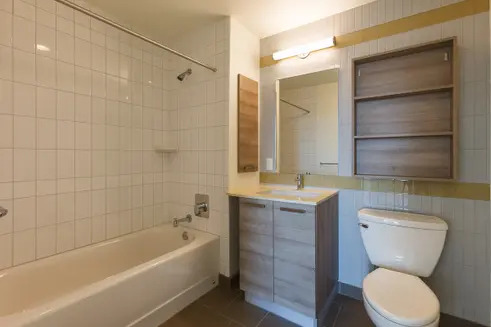 Several units are currently available and listed with 1 month of free rent, with studios starting at $1,995/month, 1 bedrooms at $2,675/month and 2 bedrooms at $3,200/month. 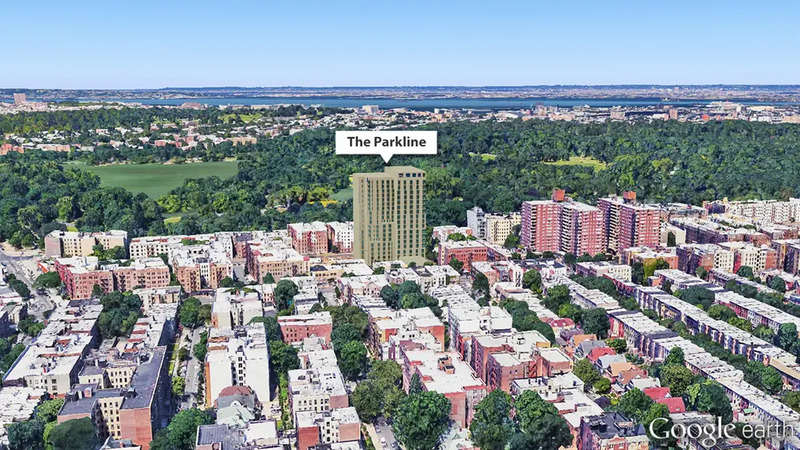 With unbeatable proximity to Brooklyn's Prospect Park, The Parkline is an appropriate name for the residence. Located at 626 Flatbush Avenue between Fenimore and Hawthorne Streets, it's adjacent to the park and also the Q line, with an entrance to the subway just two blocks away. 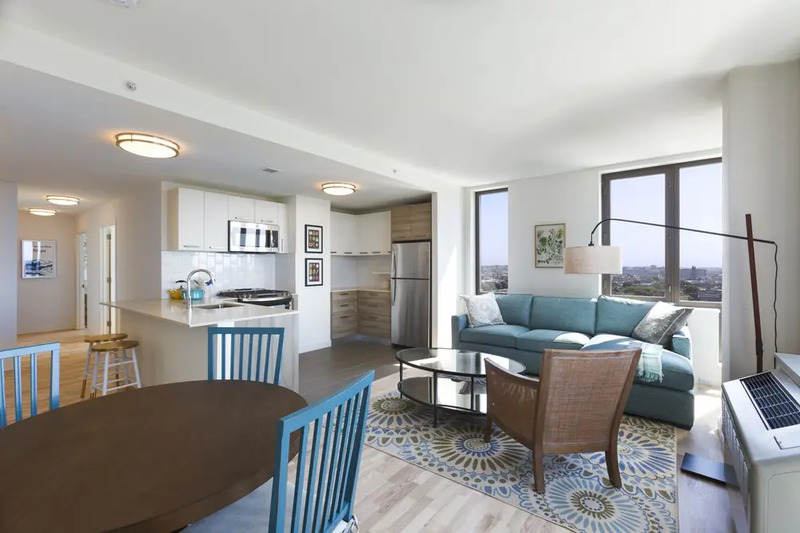 Apartment interiors feature oak hardwood floors, spacious closets, expansive windows with pre-installed solar shades, and are also equipped with climate control and in-unit Bosch washers/dryers. Kitchens have plenty of storage and counter space, and GE stainless steel appliances including a dishwasher and a microwave. Bathrooms are stone clad with soaking tubs and tiled showers. The Parkline has a 24-hour attended lobby and concierge with several amenities for residents. The building is set back from the street and has a courtyard with a fountain. A fitness center is fully equipped and has a yoga studio. On the 24th floor is a rooftop lounge with city and park views along with a private entertaining room, kitchen and bar. There is a children's playroom, a theater, billiards, and a pet grooming room. An open-air rooftop terrace is wonderfully landscaped with areas to lounge and grill, and even has a vegetable garden. 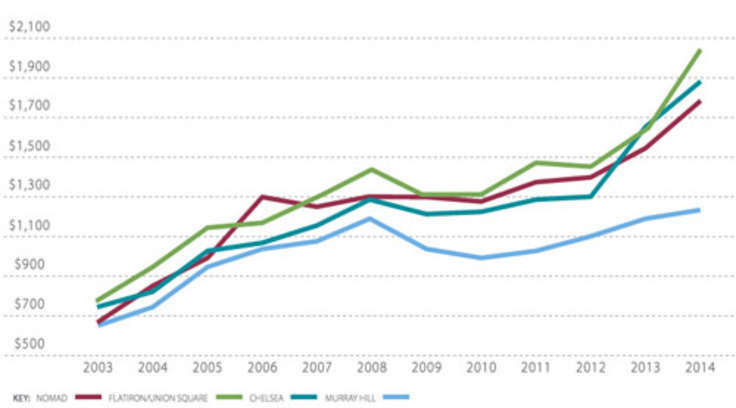 Other building features include tenant storage, a bike room and on-site parking. 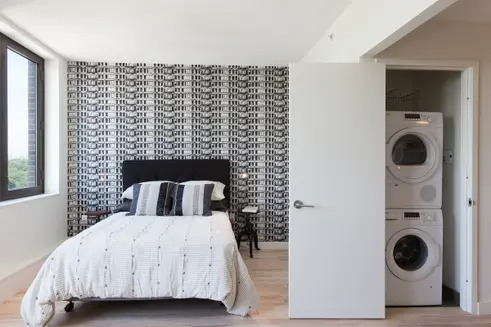 The Hudson Companies tapped Marvel Architects to design the building, which has more than 250 units and was designed to meet LEED Gold and Energy Star standards. 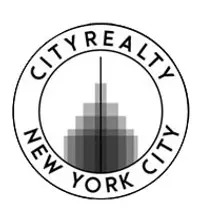 Read more about the property on CityRealty or contact The Parkline leasing office here.